At the Village du Port, your children will leave with stars in their eyes. Apart from the heated bathing area, the watersports club and, in high season, the many outdoor activities organised on-site, your little ones will be able to have endless fun in our playground or our bouncy castle. 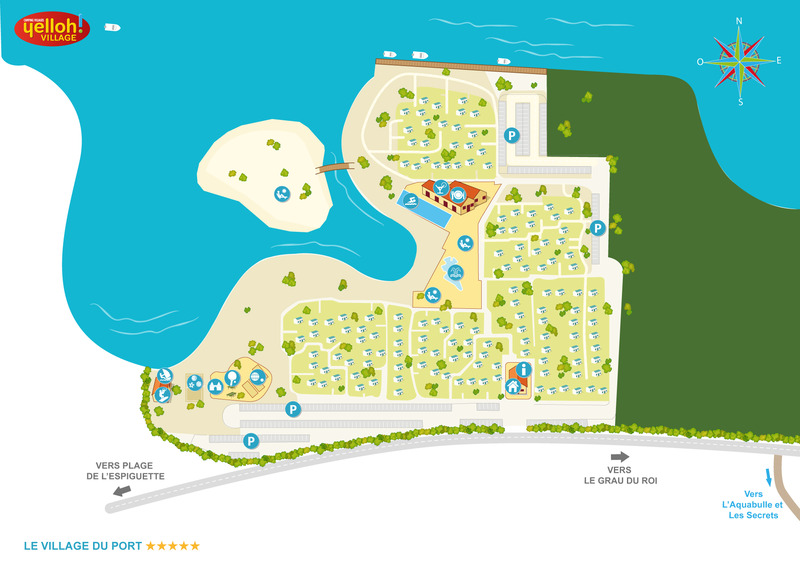 Wake up in the morning in your top-of-the-range apartment in the Village du Port, enjoy breakfast with all the family, then laze by the swimming pool as you watch your children having a wonderful time, there is simply no doubt about it: you’ve just discovered your holiday paradise! Throughout the season, and close at hand, the children’s clubs are waiting to welcome your youngsters aged 5 to 12 years, to their absolute delight! A festive programme with our Kids’ Club for the 5-7 year-olds and Juniors’ Club for the 8-12 year-olds... Whatever the age of your little darlings, they’ll be endlessly repeating the same chorus: new friends, discoveries, fun and amusement, unforgettable memories... And as for you, all you have to do is accompany them to the Aquabulle and leave our team of organisers to do all the rest. One thing is certain, they won’t have a dull moment during their holiday with Yelloh! Village!